Hyperactivity in Attention-Deficit/Hyperactivity Disorder (ADHD): Impairing Deficit or Compensatory Behavior? Excess gross motor activity (hyperactivity) is considered a core diagnostic feature of childhood ADHD that impedes learning. This view has been challenged, however, by recent models that conceptualize excess motor activity as a compensatory mechanism that facilitates neurocognitive functioning in children with ADHD. The current study investigated competing model predictions regarding activity level’s relation with working memory (WM) performance and attention in boys aged 8–12 years (M = 9.64, SD = 1.26) with ADHD (n = 29) and typically developing children (TD; n = 23). Children’s phonological WM and attentive behavior were objectively assessed during four counterbalanced WM tasks administered across four separate sessions. These data were then sequenced hierarchically based on behavioral observations of each child’s gross motor activity during each task. Analysis of the relations among intra-individual changes in observed activity level, attention, and performance revealed that higher rates of activity level predicted significantly better, but not normalized WM performance for children with ADHD. Conversely, higher rates of activity level predicted somewhat lower WM performance for TD children. Variations in movement did not predict changes in attention for either group. 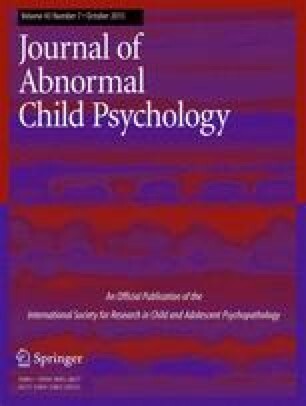 At the individual level, children with ADHD and TD children were more likely to be classified as reliably Improved and Deteriorated, respectively, when comparing their WM performance at their highest versus lowest observed activity level. These findings appear most consistent with models ascribing a functional role to hyperactivity in ADHD, with implications for selecting behavioral treatment targets to avoid overcorrecting gross motor activity during academic tasks that rely on phonological WM. The authors wish to thank Warren May for his statistical consultation. The authors are also grateful for the children and families who participated in the study, and to the undergraduate and graduate members of the UCF Children’s Learning Clinic who contributed to the project.